HIGHLY-RATED pacer San Carlo continued his perfect Inter Dominion preparation with a strong Yarra Valley Cup triumph yesterday. After racing in the ‘death seat’, the Stephen O’Donoghue-trained gelding powered his way to a five-metre win from Hickstead, with Im The Boss a head away third. 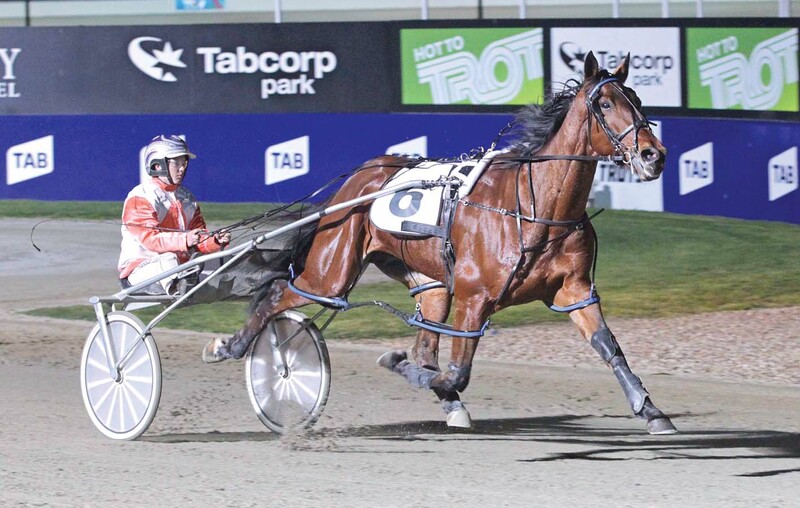 Driven by Rebecca Bartley, San Carlo rated 1:56.8 over 2650 metres to remain unbeaten from three starts this season. “We’re very happy with him…he did it pretty easily,” Bartley said. “He feels terrific this time in. With the Inter Dominion scheduled to begin with heats at Tabcorp Park Melton on December 1, San Carlo is likely to have one more outing before the time honoured Championship. While it is yet to be decided where the son of Mach Three will race, connections have highlighted next week’s Popular Free-For-All or the Geelong Cup a week later as the two likely options. “I’m not sure where he will race next,” Bartley said. “We’ve got to sit down and decide.